Kim Chungha is best known for being a contestant of the reality TV show, “Produce 101 Season 1”, which is when 101 girls competed to become a member of the group, “IOI”. The group IOI is no longer together, since they were a “promotion” group for the show, but the members are still Kpop celebrities in Seoul, South Korea. Kim Chungha has been staying busy with her singles and working on her album, as well as being on Korean TV shows. She was known for her awesome dance skills, leadership, and sweet personality. 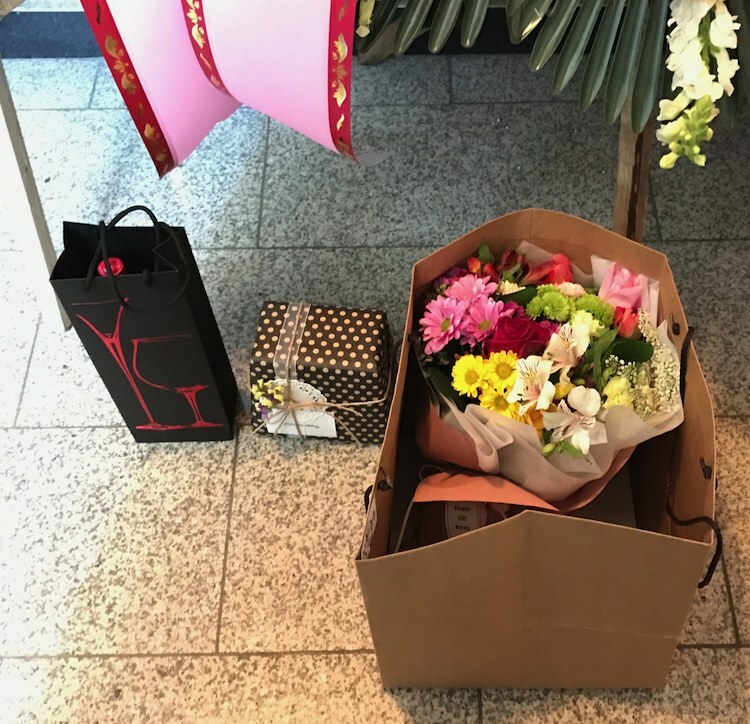 There is no question as to why fans have already sent her gifts, even though she hasn’t been a Korean celebrity for very long. She is with the agency M&H Entertainment, which is where we have made our deliveries to. Actually, Tony from Flower Gift Korea was able to give one of the deliveries directly to Chungha. That doesn’t mean she is always at the agency, actually, she is very busy these days, so isn’t often at the agency. But we got really lucky once! 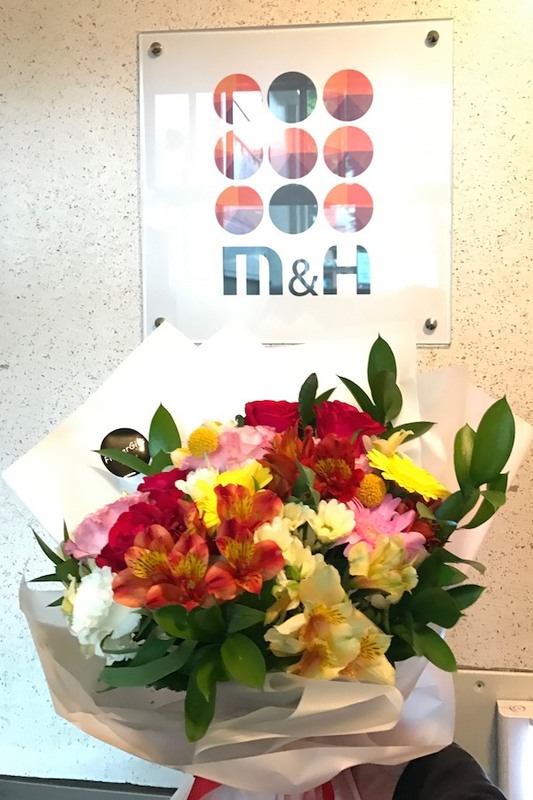 The above photos are of one of the flower bouquets that was taken infront of M&H Entertainment. This agency is not as big as YG Entertainment and the other big ones, so there aren’t that many places to take a photo there. The above two photos are part of a gift set sent to Chungha. There were also the Korean spray designs, (sent by fans with other flower shops) which are really big. 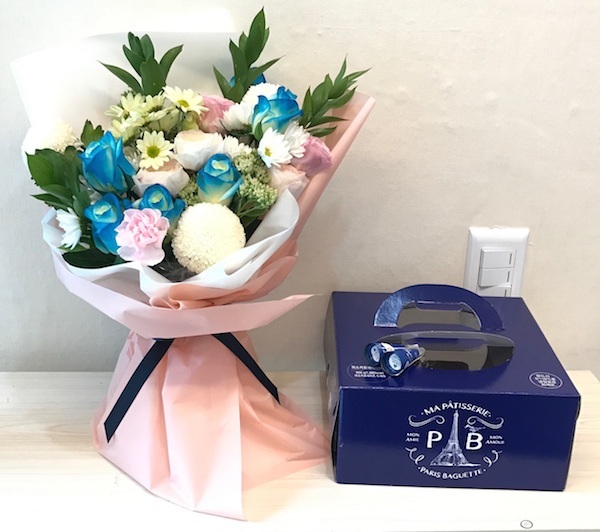 We have them available on our store as well, but there’s no way Chungha would be able to take one of those big flower designs home, which is why it is always best to send a flower basket or bouquet along with some chocolates, wine, stuffed toy, handmade goods, etc. 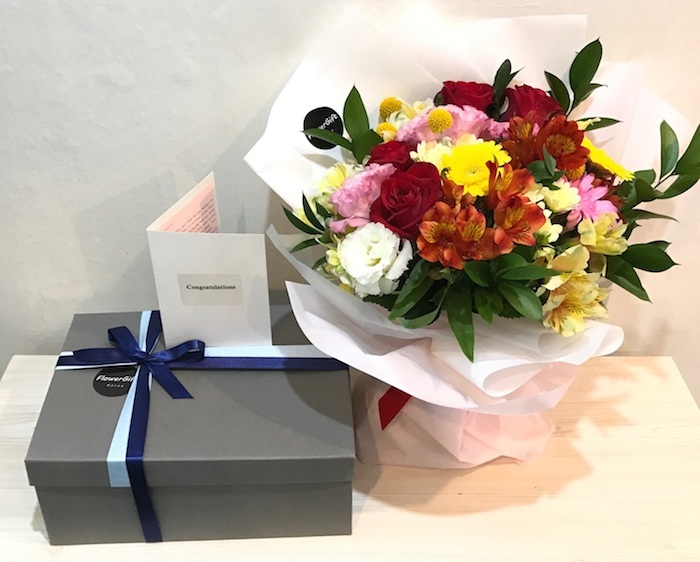 The above gift set was sent as a birthday present to Kim Chungha. A lot of fans enjoy sending birthday gifts to their favorite celebrities in Korea. We have sent so many gifts to so many different Korean celebrities. 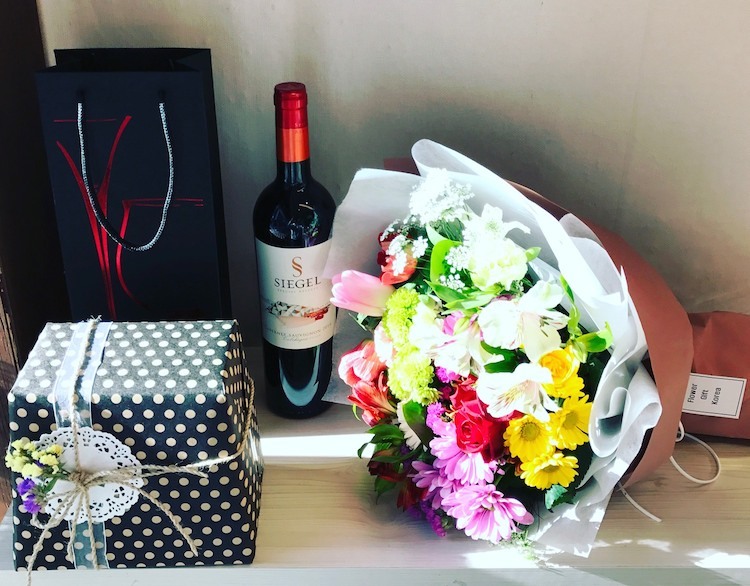 It was an honor to prepare and send gifts to the Korean celebrity and Korean Pop Star Chungha. It was also nice to see her in person. Chungha has a bright future ahead of her and we are so glad and honored that we are able to send her gifts from her fans from all over the world. If you want to send gifts to Chungha or other Korean celebrities, check out our shop and see what you can send to support your favorite Kpop artist living in Seoul, South Korea.